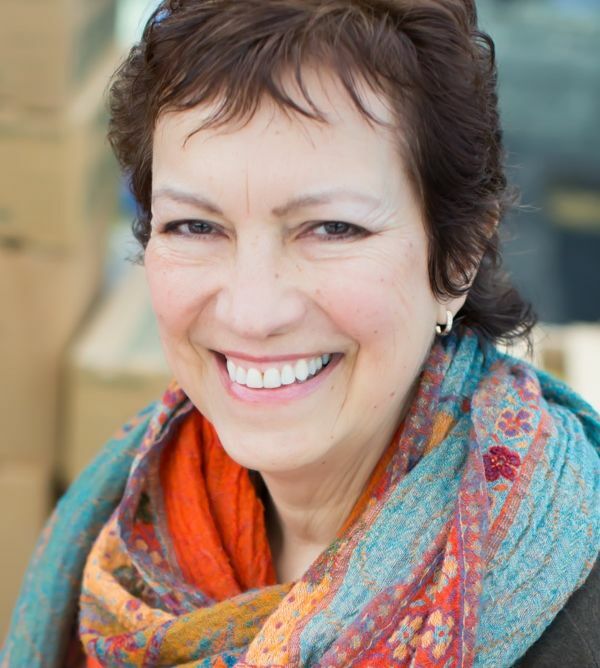 Author and writing coach Dianne Jacob is considered a go-to expert for food writers. Both her book, Will Write for Food, and her blog, are considered go-to resources for those who want to dip their toes in the world of food writing. As a member of the International Association of Culinary Professionals, I have had opportunities to hear Dianne speak about food writing, so I knew she would make a nice addition my interview series. Thanks to Dianne for sharing her knowledge and I hope you enjoy this interview with Dianne. I am a writing coach for people who want to create an irresistible cookbook proposal for traditional publishers or help to start improving a food blog. I also teach food writing at conferences and in workshops around the world. 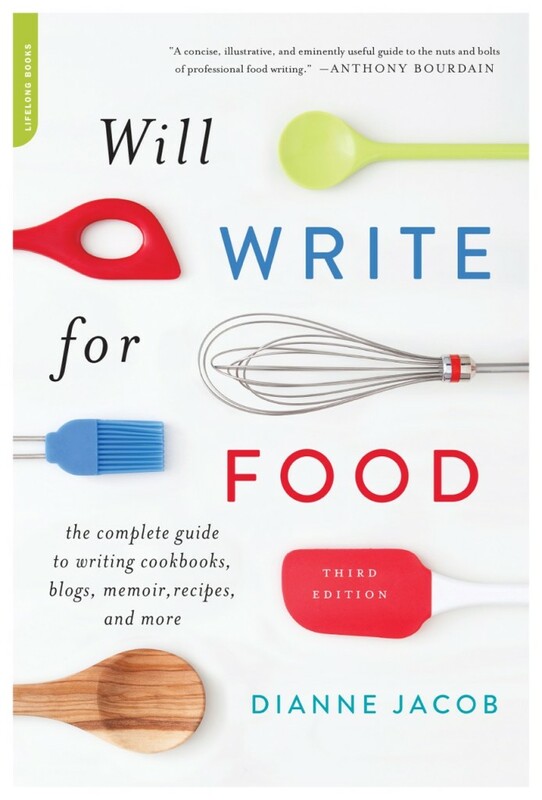 I’ve written a multiple award-winning book called Will Write for Food: The Complete Guide to Writing Cookbooks, Blogs, Memoir, Recipes, and More. I’m also the co-author of two pizza cookbooks with chef Craig Priebe: The United States of Pizza and Grilled Pizzas and Piadinas. I have a blog on the subject of food writing, and a free newsletter on the subject as well. What are some key factors for aspiring authors to consider in the development of a cookbook concept? Have something new to say that will appeal to a large audience. A general soup-to-nuts cookbook will be a hard sell because you’re competing with Ina Garten and The Joy of Cooking. Develop a big enough audience for the book through social media, writing, or teaching – before you send out the proposal. Can you expand a bit on what a publisher looks for in terms of “big enough audience”? No one agrees on what constitutes a “big enough” audience. The issue is that publishers need to know you have developed an audience for your book. If your social media numbers add up to under 500, they will wonder who will buy this book, since you have limited contacts. Writing freelance articles on the subject of the book, teaching, building a newsletter list and other similar strategies will also be helpful in showing publishers that you communicate regularly with the target buyer of your book. What are the most important parts of a cookbook author’s visibility in today’s digital-media-driven world? Both aspiring and continuing authors need a consistently growing social media platform and an engaged readership. See this guest post on my blog: What Bloggers Need for a Book Deal: Reader Relationships. What advice do you have for aspiring authors who want to self-publish her cookbook? Find out what it will cost before you dive in. I’ve heard of books that cost $5000 to produce, and books that cost $60,000. There are so many variables: how many copies you want, whether you want color pages, whether you have to pay for photography, whether you’d like a hardcover book. If your book is for family and friends only, that’s great. If you plan to sell your book to an awaiting audience, do you have one in place? You can learn about what other authors have learned when self-publishing through these posts on my blog. What advice do you have for aspiring authors who want to find an agent? Network with friends who have already published a cookbook to find out if they will introduce you to their agents. Agents want a referral rather than a cold call. If you have no friends in this category, join an organization such as The International Association of Culinary Professionals, so you can meet cookbook authors at the annual conference. I’ve also interviewed literary agents on my blog. What advice do you have for submitting an unagented/unsolicited proposal? The biggest publishing houses, such as Clarkson Potter and Random House, will consider your proposal a low priority and it will take a while to hear back. If they are interested, you might want to find an agent to represent you, as it is difficult to negotiate your own contract. Smaller publishers, such as Storey and Page Street Publishing, do not require you to work with an agent. They are accustomed to doing so, however. What are your top tips for writing a cookbook proposal? Backup before going forward. If you have no expertise on the subject of the book, start a blog or Facebook page about it, or teach a class. If your social media numbers are low work on increasing them before sending out the proposal. Take your time. Since proposals have a 1 percent acceptance rate, you need time to make sure you eliminate any objections or concerns that an agent or editor would have. If you are a first-timer, you might also benefit from reading my blog post called 5 Rookie Mistakes in Cookbook Proposals. What other advice would you give aspiring cookbook authors? Be prepared to be in love with your subject for years. You should be creating your expertise on the subject before writing a proposal. It can take at least a year to then write a proposal, get an agent and contract, and then another year or so to write the book, and then at least six months to promote it. If you’re not prepared to be known as the writer of this cookbook for years, and to be enthusiastic about it, it’s not the right title for you. If you could tell every aspiring cookbook author one thing about the publishing industry what would it be? It takes only one agent to love you and your book, so be prepared to approach lots until you find that person. Rejection is hard, but what’s harder is to abandon your dream because you are afraid of being turned down. And it only takes one editor to buy your book, so expect the agent to go through a similar process until he or she finds an excited publisher. Cookbook author, editor, and Culinary Dietitian Maggie Green coaches aspiring cookbook authors during the pre-publication phase of writing a cookbook. If you want to write a cookbook, and wonder if you’re ready, download her 11-point checklist Am I Ready to Write a Cookbook? Applications are now open for the next Hungry For A Cookbook Mastermind Group.